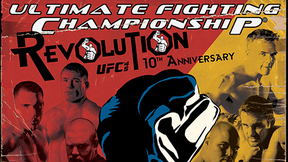 UFC 36: Worlds Collide was a star-studded event featuring 9 past or future UFC champions with at least one in each bout! 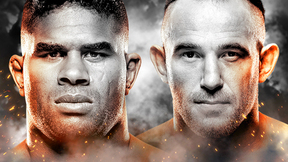 As for current UFC title-holders on the card, welterweight champ Matt Hughes and heavyweight champ Randy Couture defended their belts! 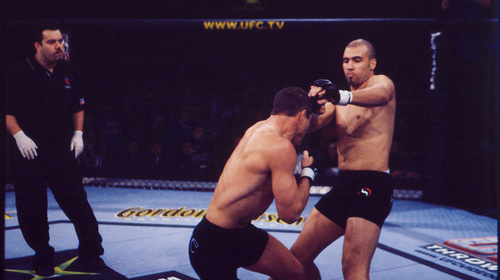 Josh Barnett vs Randy Couture UFC 36 Fri, Mar 22, 2002 (23:46) Heavyweight Josh Barnett thought it was time for a new champion, and he looked to take it from Randy 'The Natural' Couture. 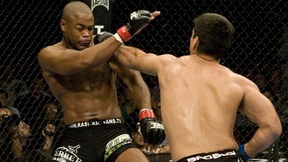 Pedro Rizzo vs Andrei Arlovski UFC 36 Fri, Mar 22, 2002 (22:03) After back-to-back losing efforts for the UFC heavyweight championship, Brazilian knockout artist Pedro “The Rock” Rizzo entered the Octagon ready to trade fists and feet with the 4-2, rising Sambo star Andrei “The Pit Bull” Arlovski. 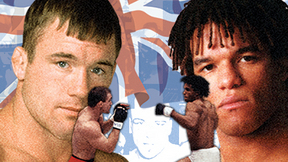 Matt Hughes vs Hayato Sakurai UFC 36 Fri, Mar 22, 2002 (32:00) In his first title defense, UFC welterweight champion Matt Hughes primed his power-wrestling style against a highly-touted Octagon newcomer from the Far East in the 19-1-2, Japanese promotion Shooto’s former welterweight champ Hayato Sakurai. 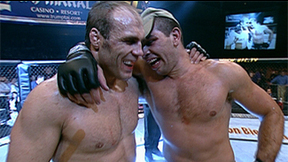 Matt Lindland vs Pat Miletich UFC 36 Fri, Mar 22, 2002 (10:47) It would be the former UFC champ’s final Octagon scrap before dedicating himself to coaching, “The Croatian Sensation” Pat Miletich took to the cage to battle 2000 US Olympic Greco-Roman wrestling silver medalist and undefeated in MMA - Matt Lindland. 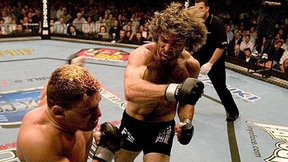 Evan Tanner vs Elvis Sinosic UFC 36 Fri, Mar 22, 2002 (8:50) A tilt between light-heavyweight top contenders as Australia’s top jiu-jitsu player Elvis “The King of Rock n’ Rumble” Sinosic stepped into the Octagon to exchange with the experienced Evan Tanner and his imposing 24-3 pro record. 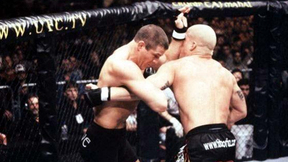 Frank Mir vs Pete Williams UFC 36 Fri, Mar 22, 2002 (4:28) It remains a unique finish to this day! In a contest between heavyweight submission aces, Octagon veteran and Lion’s Den product Pete Williams tangled with Nevada State high school wrestling champion turned Ricardo Pires’ BJJ prospect - Frank Mir. Matt Serra vs Kelly Dullanty UFC 36 Fri, Mar 22, 2002 (8:57) Pulling himself to 1-1 in the UFC with a decision over Yves Edwards, Renzo Gracie’s first American BJJ blackbelt Matt Serra entered the Octagon to test his chokes against the fists of the undefeated Kelly “Psycho” Dullanty.